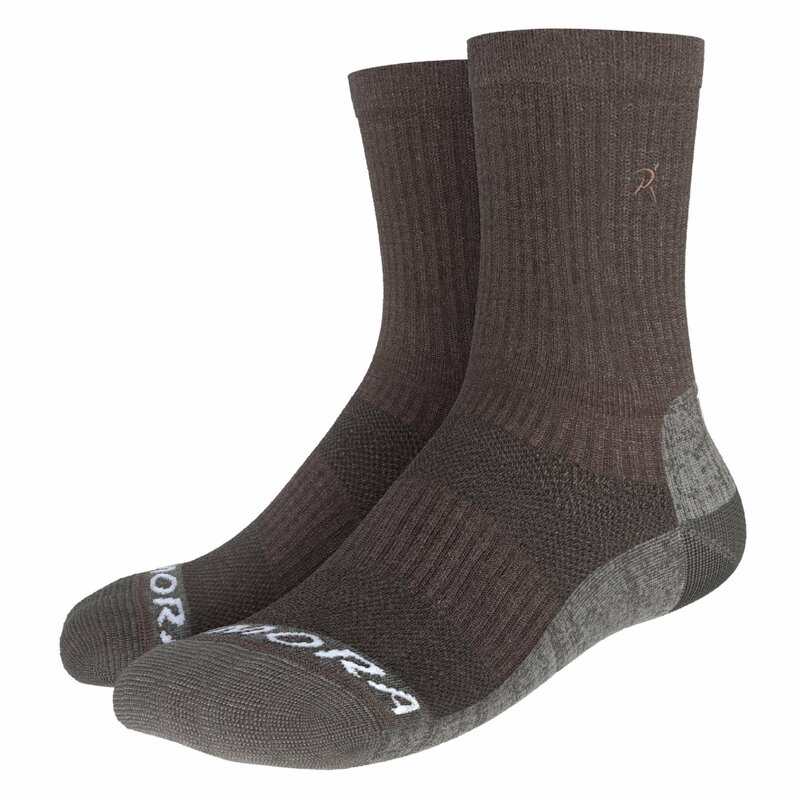 FINALLY WALKING SOCKS THAT HAVE ALL THE FEATURES YOUR FEET DESIRE: Ventilation arch mesh to keep your feet cool. 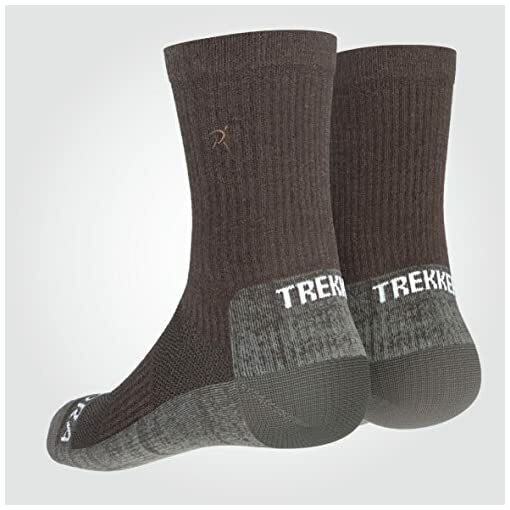 Seamless toe construction for extra coziness. 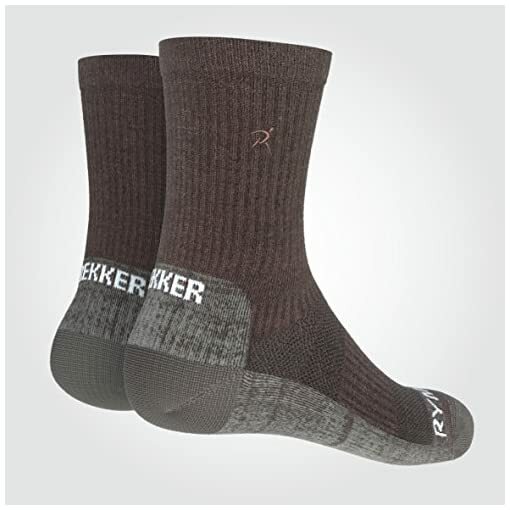 Padded in all the right places so you can walk blister free for miles and miles. 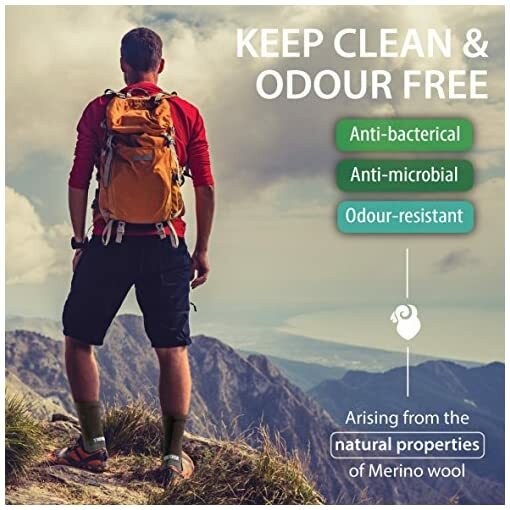 MERINO WOOL IS NATURALLY BREATHABLE AND ANTI-BACTERIAL: Merino is a highly breathable fabric. It wicks moisture away from the body, helping you stay dry. It’s thermo-regulating – it’s an active fibre that reacts to changes in your body temperature, keeping you warm when it’s cold and cool when it’s hot. Additionally, merino wool has anti-bacterial properties which will help you stay fresh and odour free. Perfect for all weather conditions. 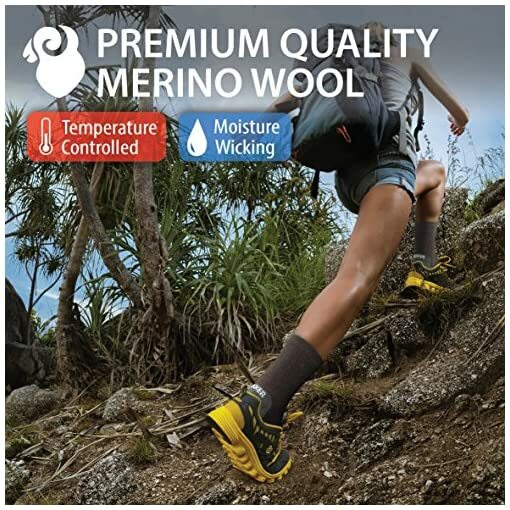 LIGHTWEIGHT, SOFT AND ITCH FREE: Merino wool is finer than most wool, which gives it a soft feel without itching, making it very comfortable for wear as a base layer against the skin. 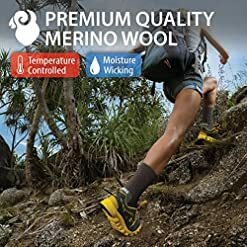 High merino wool contents of 66% provide your feet with that luxury soft feel with strength and stretch provided by the polyamide (33%) and elastane (1%). Say hello to premium quality hiking socks that your feet will fall in love with at first sight. We’re confident that you’ll love our products. 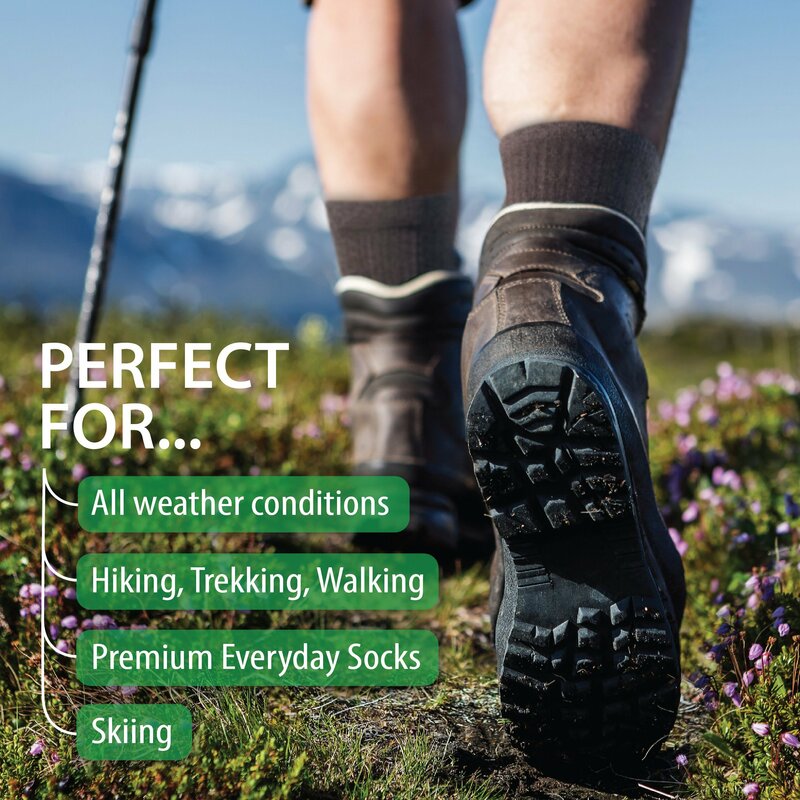 Any issues or questions please get in touch – our friendly team are on hand ready to quickly and helpfully respond (you may be pleasantly surprised with the ways we can help you). In the unlikely event that we’re unable to provide a solution we’ll happily give you your money back. 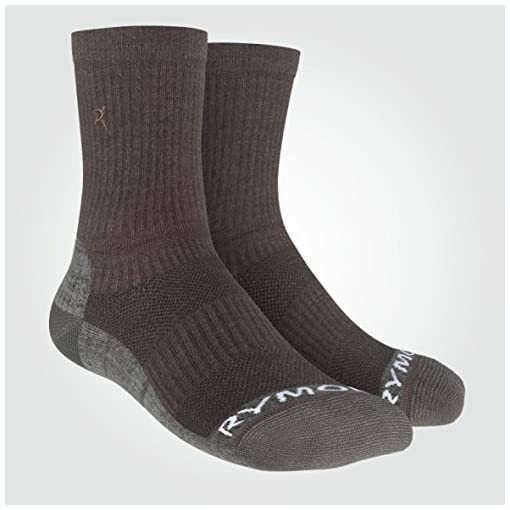 Don’t delay, click Add to Basket now and join the thousands of others benefitting from quality Rymora products. YOUR FEET DESERVE THE BEST – ERGONOMIC FIT & SUITABLE FOR ALL ACTIVITIES: Perfect for walking, hiking, trekking, mountaineering, camping, etc. 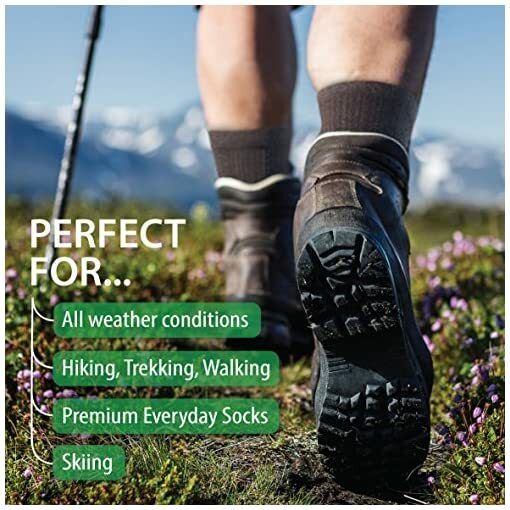 Also great for a wide range of activities and sports such as jogging, running, basketball, netball, squash, badminton, volleyball, football, tennis, skiing, snowboarding, cycling, crossfit, athletics, gym, etc. 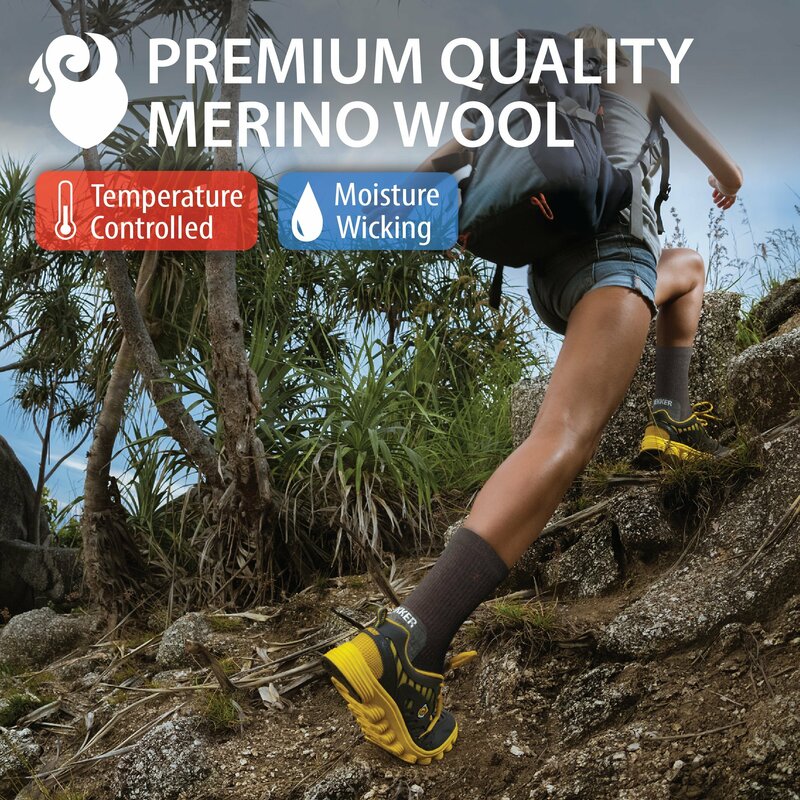 SAY HELLO TO PREMIUM QUALITY MERINO WOOL HIKING SOCKS: Rymora products have been tried and tested on a mass scale worldwide. 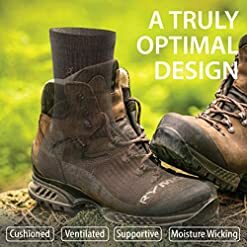 Just read a few reviews and you’ll no longer be confused which brand to buy. 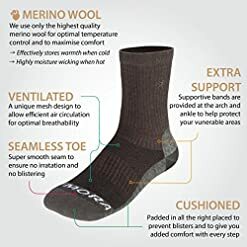 Don’t delay, give your feet the support, comfort and protection they deserve – click ‘Add to Basket’ now and join the thousands worldwide enjoying Rymora socks.